Wines galore on today’s show! We’re celebrating Morro Bay on this episode of the Liquid Lunch. 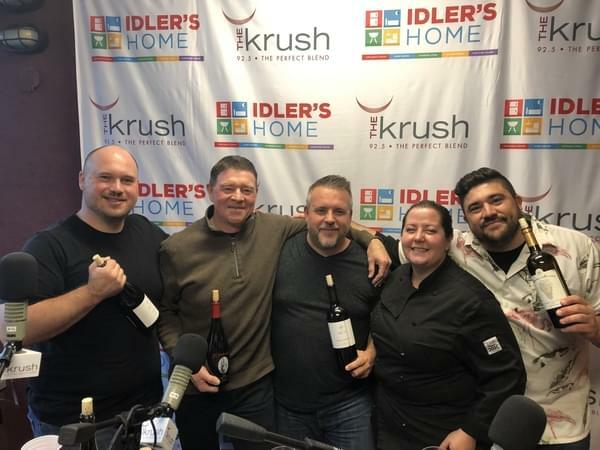 Matt Villard from MCV Wines, Mike Mooney of El Pistolero and Chateau Margene and Kari Zieglar from Stax Wine Bar join us on the show today to tell us all about the new things going on in Morro Bay and more. We try a wide variety of wines: a 2016 Cremant De Limoux Brut Rose, Le Colture D.O.C.G from 2016, a Mas Cava Brut, Vouray Methode Tradutionnelle Brut, The Chook Sparkling Shiraz, MCV Pink 2014, 2016 Petit vredot, 2013 1105, a 2015 Grenache and from El Pistolero (yes we’re still naming off the wines) a 2016 Chardonnay, 2016 Pinot and a Chateau Margene Cab Sauv from 2015.